In “Snow White and the Huntsman” a new twist to the classic fairy-tale emerges when the Huntsman, ordered to take Snow White into the woods to be killed winds up becoming her protector and mentor in a quest to vanquish the Evil Queen. This Movie Stars: Kristen Stewart as: Snow White, Chris Hemsworth as: The Huntsman and Charlize Theron as: Ravenna. So everyone's talking about global warming. Anthropogenic climate change effecting the overall well being of the planet. As one of the leading causes of this problem, should we be doing anything to prevent further destruction? What can a single person do in order to improve the conditions we all live in? 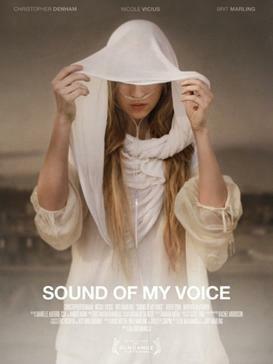 In "Sound of My Voice", A journalist and his girlfriend get pulled in while they investigate a cult whose leader claims to be from the future. This Movie Stars: Christopher Denham as: Peter Aitken, Nicole Vicus as: Lorna Michaelson, and Brit Marling as: Maggie. In Captain America: The First Avenger, Steve Rogers volunteers for a top secret research project that turns him into Captain America, a superhero dedicated to defending USA ideals.